Photography studio hire in Manchester has gotten even better. Creatives, corporates and students will find all they have been looking for at The One Studio. It is Manchester’s photo studio with the truly human feel. Located in Altrincham, Manchester The One Studio has excellent public transport and road links. The site has a large and accessible car park with disabled parking. Our on-site bistro serves superb breakfasts and lunches. We provide in-studio refreshments as part of your studio hire. Equipment needs at The One Studio are never a problem. 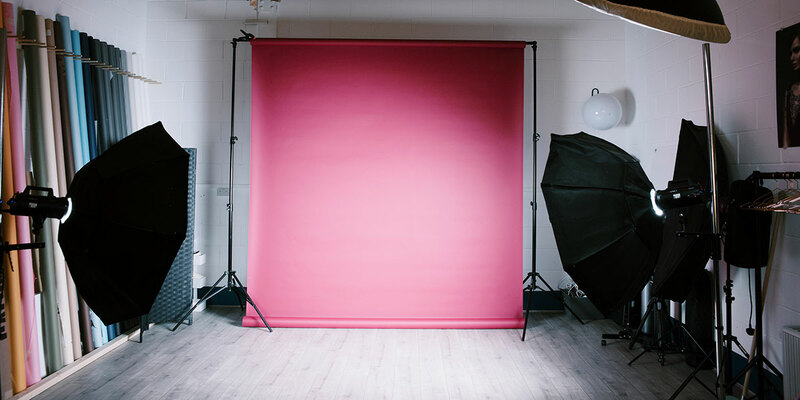 We have a full range of lighting and other studio equipment, including two makeup stations. Free Wi-Fi finishes off the studio perfectly. So open your creative horizons and make The One Studio your choice. The One Studio is a trading name of Teqdis Limited. A company registered in England No. 6453837. VAT Registration number available on invoices and on request. All prices include VAT.